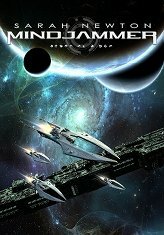 Mindjammer Press is going to be at Dragonmeet in London on Saturday 1st December, this year – and for the first time we’re going to have our own stand! We’ll have copies of Mindjammer – The Roleplaying Game and supplements, Capharnaum – Tales of the Dragon-Marked, and even physical copies of the quickstart for The Chronicles of Future Earth, “The Swallower of Souls”. On the stand will be Sarah Newton, Jason Juta, and Stephan Barat, François Cedelle, and Morgane Munns from our French partners Studio Deadcrows – so bring along your copy of Capharnaum if you’d like François to sign it! What we really want to do this year is to make sure we have our games being played at Dragonmeet, too! For that reason, we’re shouting out to you all to help us! For every session of a Mindjammer Press game you run at Dragonmeet, we’ll be providing you with either a £10 discount on our stand, or a free copy of THE TEARS OF AMPHAROOL (Capharnaum quickstart and adventure) and THE SWALLOWER OF SOULS (The Chronicles of Future Earth quickstart and adventure) and DOMINION (The Mindjammer quickstart and adventure)! That’s three freebies! Plus, if you book your game in advance and let us know ahead of time what you’ll be running, we’ll arrange to have your rewards and printed colour character sheets available for pick-up on the day! So please book up your Mindjammer Press games at Dragonmeet, and let us know at info-at-mindjammerpress-dot-com! Mindjammer Press will be at Dragonmeet this Saturday, the 1st December – the annual roleplaying games convention in Kensington Town Hall, London. We’ll be on the Chronicle City stand, and will have copies of the Mindjammer novel and will be talking about the upcoming Mindjammer 2nd edition RPG (using the Fate Core rules) and giving out leaflets – stop by and say hi!